Vanda is a young widow, with a number of marriages past her, who tends to venerate each deceased husband, as much as she betrays and denigrates the present one. Raised in seclusion, a young woman claims her unborn child was conceived through an angel. Stories of various individuals living in a poor district of Lisbon are intertwined with the sad life of a blind street vendor whose only means of support is his elm box. A drama following stories of characters from the Portuguese High Society. Local people of Curalha, a small village, keep a tradition of representing the Passion of Jesus, since and according to a 16th text. Lisbon, Marseilles, Naples, Athens, Istanbul, Cairo, Aden, and Bombay. Along with a university teacher and her little daughter, we embark on a long journey, experiencing different cultures and civilizations. The life of a young man, son of an English officer who lets himself become a prisoner of love resulting in fatalism and disgrace. Patients in a mental institution see themselves as Adam and Eve, Sonia and Raskolnikov, a Philosopher and a Prophet, Alyosha and Ivan Karamazov, Jesus, Lazarus, Martha, Mary and St Teresa of Avila. though, of course, I would've had no guarantee that they were able get hold of a superior print unless I went through the whole thing over again! except that, by this time, it dawns on her that Husband No. 2 is the one she truly loves! Amid all this, their close circle of friends try to make head or tails of the woman's whims and quirks; further complications, however, arise out of the subplot involving a man who makes passes at two of the women (one's married, the other happily cohabiting with her divorced ex!). The latter turns him down flat, while his affair with the former proves no less volatile than the leading lady's roundabout ways; the man, then, deliberately picks a fight with his lover's husband  who had earlier also exchanged harsh words with the heroine's cynical second husband. 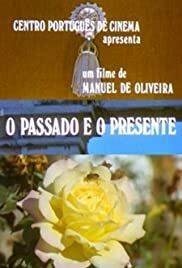 Though lacking perhaps the cheerful mockery that Bunuel managed to bring to this essentially staid environment (even if the Mendelssohn score still lends it undeniable irony), Oliveira's script is both intelligent and witty  to which his small cast of unknown actors (to me, at least) respond extremely well. These extend to even the minor roles of butler and maid: apart from indulging in their own romantic dalliances from time to time, the butler is visibly annoyed in having to attend to the mansion's gates after every vehicle that calls at the premises (in fact, apart from a brief flashback and the church finale, we're virtually stuck on the grounds of this single location). He also witnesses the second husband's fatal leap from the window as well as the wife's escape from the very same room (in which she's been locked by Spouse No. 1 after her passion for his replacement is re-ignited), while the maid has no qualms about spying on her masters' violent squabbles through a keyhole. The ironic ending sees all concerned attending the wedding ceremony of a young bride and groom  with the central couple entering the church together but then taking separate seats away from one another because of lack of room; the emphasis placed on the newlyweds' promises of lifelong devotion obviously ring hollow at this point while, seemingly on a whim, Oliveira decides to end the film on an amusing shot of the church organist (sporting the somewhat clichéd unkempt appearance of the typical musicologist). It should be said here that PAST AND PRESENT is the first entry in the director's so-called "Tetralogy Of Frustrated Love" along with BENILDE OR THE VIRGIN MOTHER (1975), the five-hour TV serial DOOMED LOVE (1979)  both of which I own and intend to check out presently, as part of my ongoing retrospective honoring Oliveira's 100th birthday next month  and the as-yet unavailable FRANCISCA (1981). 6 of 10 people found this review helpful. Was this review helpful to you?